AFC Leopards Argentine gaffer Rodolfo Zapata has threatened to leave his post after Sunday’s “Mashemeji Derby” over interference, according to reports. Zapata, who joined the den in April is said to be unsettled due to a seething power-play within the club’s hierarchy involving a group of members of the Executive Committee and a section of his backroom staff. The former Botswana’s Gaborone FC manager also wants a better accommodation but, the club cannot afford him one presently. “The coach doesn’t trust his assistants and almost never consults them during matches and in training. There’s no team effort in the dugout,” a source told Nation. Zapata’s pending exit will not surprise many as the club is known to fire and hire coaches at will. So far they have had Robert Matano and Dennis Kitambi this year. The team is currently placed fifth in the KPL log standings after 22 rounds of fixtures, 13 points off leaders and their Sunday opponents Gor Mahia. 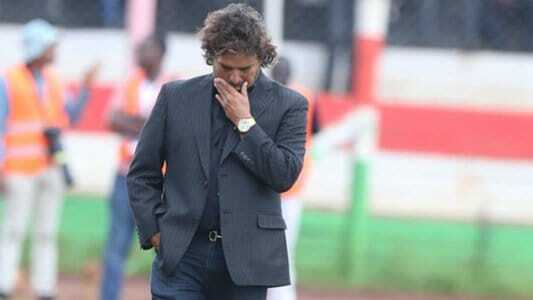 Leopards’ unstable leadership is often blamed for the club’s failure to win their first KPL title in 20 years. Over the past decade the 12-times Kenyan champions have been living in the shadows of their arch rivals Gor, who have continued to dominate the league.